Want to listen to Bonnie being interviewed on Voice America Internet Radio, and watch her being interviewed on Voice America TV? 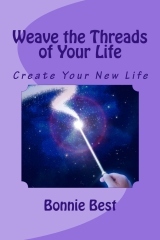 In Weave the Threads of Your Life Bonnie takes her readers on a journey of self-discovery. Using her own life experiences, she candidly shares how her life experiences created self-doubt, and then she shows the reader how to overcome the negative messages presented by our internal voices. The book provides insight, and enables readers to explore and examine their own lives through the use of questions. The third section of the book enables readers to use the questions to create a personal journal. You can now get a sample of the book, including the Foreword, Introduction, Chapter 1, and the first couple pages of part 3 of the book. Click here to get your copy. There are two volumes of my inspirational poems, each has about 100 poems. 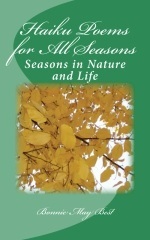 Haiku Poems for All Seasons has about 100 poems organized by Spring, Summer, Fall and Winter. 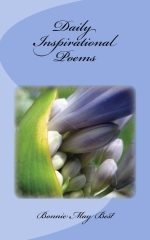 My newest book Daily Inspirational Poems has 366 poems, one for each day of the year. 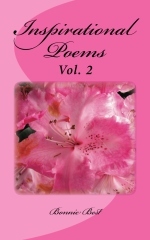 Volume 2, Haiku Poems for All Seasons, and Daily Inspirational Poems are like a journal, with space on each page for the reader's reflections after reading the poem. These make great holiday gifts! 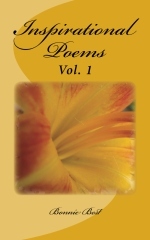 Book Review on Amazon: Inspirational Poems is a great book for a moment's peace in my busy day. Bonnie Best has created a book of short poems that can at the same time inspire, yet relax. It's meditative and therapeutic. Enjoy!